November 10, 2017 By Allyson 9 Comments This post may contain affiliate links. Read my disclosure policy. Spaghetti Squash Lasagna cuts the carbs but not the flavor! 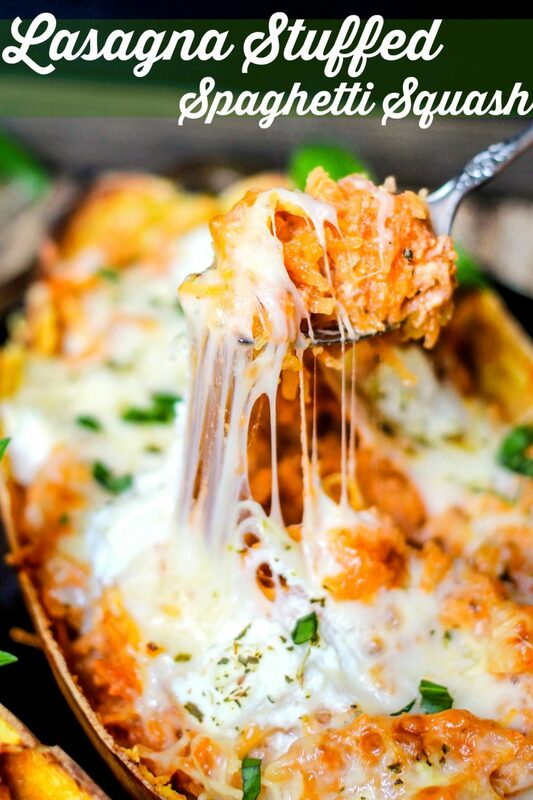 It’s stuffed with your favorite traditional lasagna ingredients, and makes the perfect healthy dinner! For the last year and a half, I have been more focused on figuring out ways to make my favorite recipes a little bit healthier. I’ve become obsessed with spaghetti squash and knew I wanted to make a Stuffed Spaghetti Squash Lasagna dish for a while. This is a sponsored conversation written by me on behalf of Herbalife Nutrition. The opinions and text are all mine. 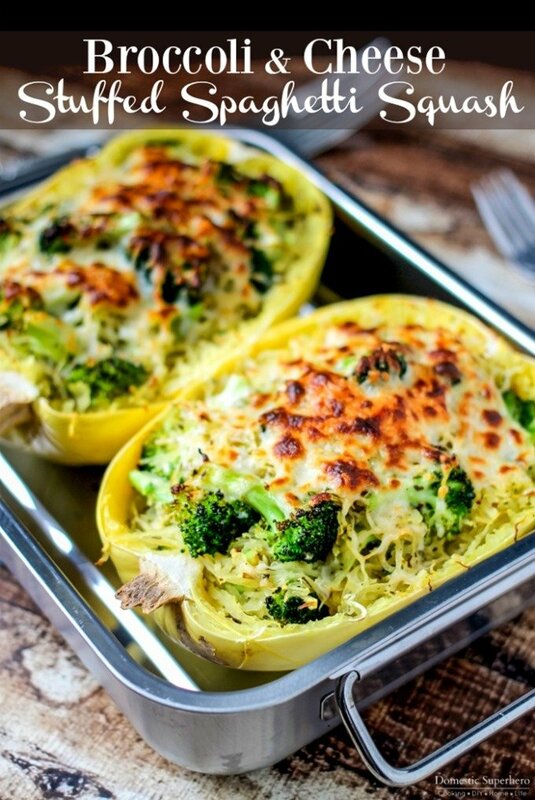 Using something like spaghetti squash in place of pasta is a great way to save calories without sacrificing calories. I love making a vegetarian style lasagna, but you could also add meat to the spaghetti squash lasagna if you’d like. 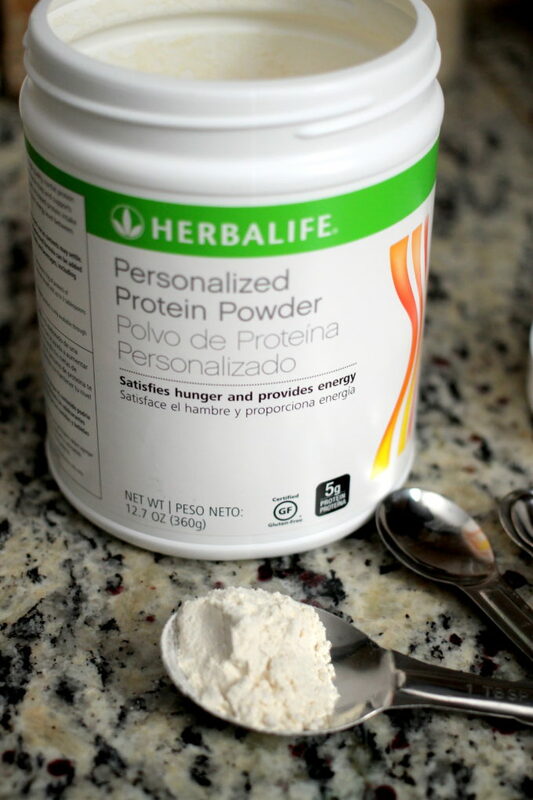 Since I’m not a big meat eater, sometimes I incorporate other sources of protein, like Herbalife personalized protein powder. 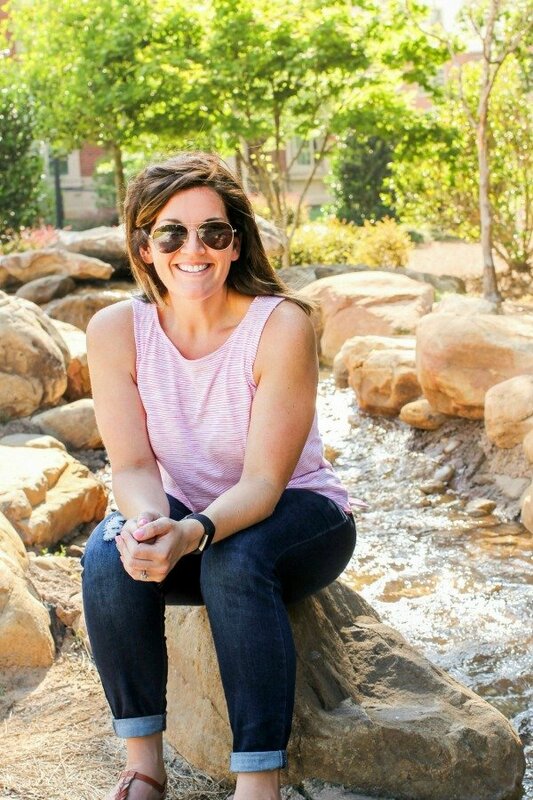 I recently had the opportunity to speak with Nutritionist, Susan Bowerman, and it was very helpful to discuss my diet and fitness goals with her. Being that I teach 5 fitness classes a week, she explained to me that I might actually be eating too few calories, in turn slowing down my metabolism and hindering those last 15lbs to come off! Since speaking with her, I have increased my calories and protein, and I have been seeing some additional results in my weight loss journey! 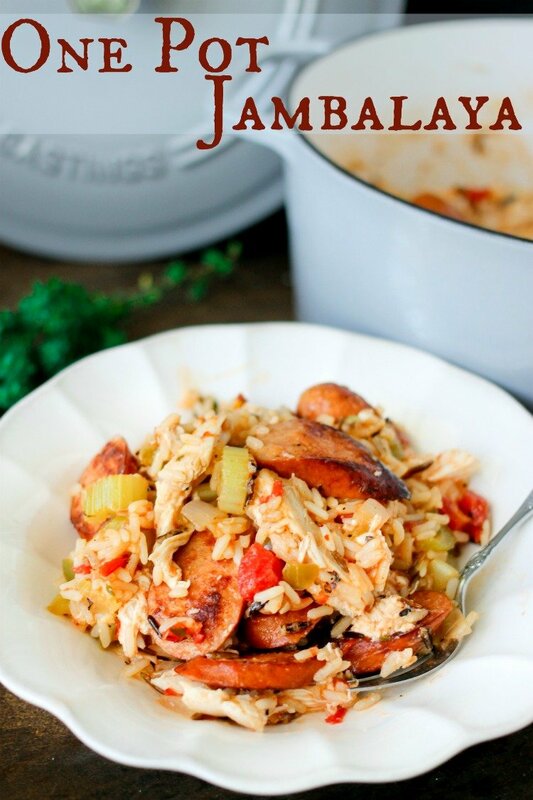 I usually add a tablespoon per serving, and that adds 5 extra grams of protein. This definitely helps me feel full longer, and meet my daily protein goal which is 100 grams per day. Meeting my fitness goals has become a must these last few years for me. I became really serious about my health about two years ago, and I continue to work hard to achieve my goals. While teaching fitness classes and staying active is great for my body and health, I also have to pay close attention to what I eat. I find that using the Herbalife Products helps me stay on track. 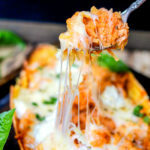 I especially like that while this Spaghetti Squash Lasagna replaces pasta with a vegetable, it doesn’t feel like you are missing out on the creamy cheesy feeling of traditional lasagna. I used ricotta cheese in my recipe, however you could use cottage cheese for even more protein – YUM! I am also excited to announce that I will be partnering with Herbalife Nutrition on a few other posts in the near future! You can look forward to some more healthy recipes and tips! Spaghetti Squash Lasagna cuts the carbs but not the flavor! It's stuffed with your favorite traditional lasagna ingredients, and makes the perfect healthy dinner! Heat oven to 400 degrees. Brush insides of squash with olive oil and sprinkle with salt and pepper. Place face down in baking dish and cook for 45-60 minutes, or until squash is tender (timing will depend on size of squash). Remove from oven and set aside to cool. For filling: Combine ricotta, mozzarella, egg, parmesan, and spices in a large bowl. Set aside. Scrape squash out of the shell using a fork. Careful not to break or puncture the shell. Add spaghetti squash to the bowl with the ricotta mixture. 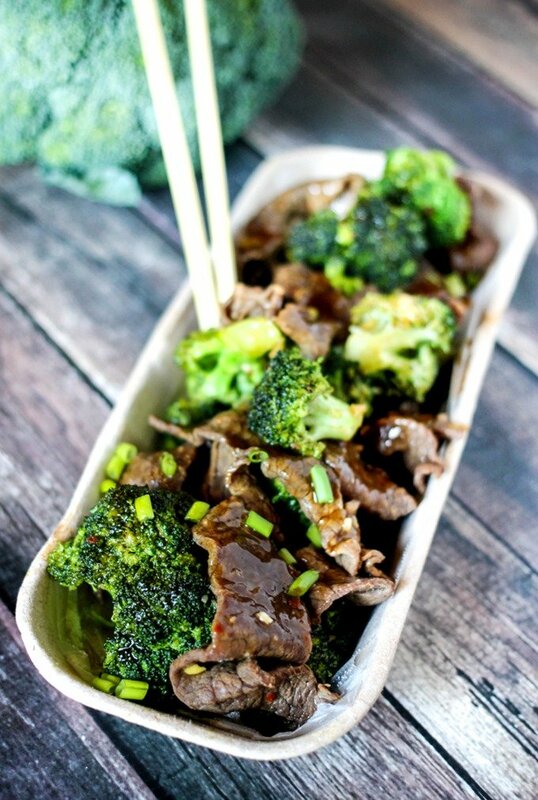 Add marinara sauce and protein powder (if using) and mix to combine. Place squash shells back into the baking dish. 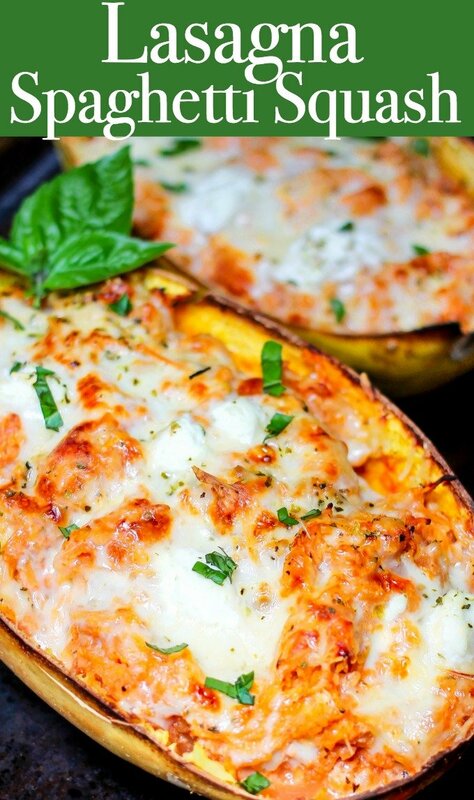 Spoon filling into the squash shells. Top with remaining mozzarella and parmesan cheese, then spoon little balls of ricotta around the top (see video). Finish by sprinkling oregano over the top. Cover loosely with foil. With oven preheated to 400 degrees, bake covered lasagna stuffed spaghetti squash for 20 minutes. Remove foil, switch to broil, and cook for 2-5 minutes, or until cheese is melted. Watch carefully while broiling as it can burn quickly. Remove from oven and garnish with fresh basil. Serve and enjoy! This is a sponsored conversation written by me on behalf of Herbalife Nutrition. The opinions and text are all mine. 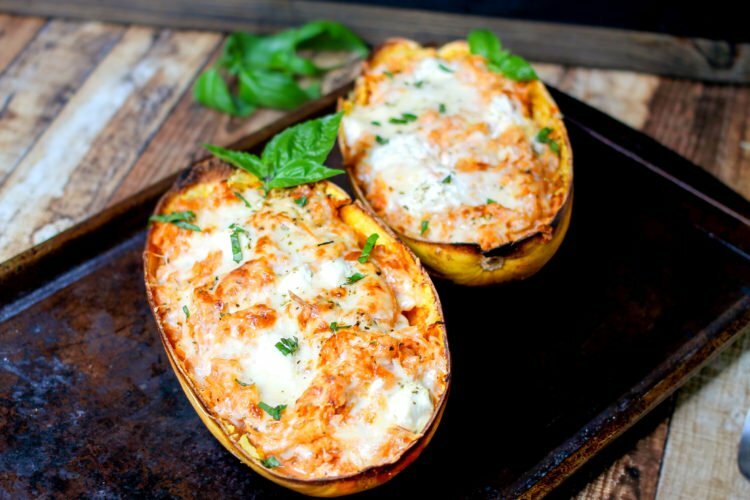 I really need to get into the spaghetti squash game! I’ve been a bit intimidated by it but these seems very doable. Thank you for sharing! It is SOOOO easy! You would love it! 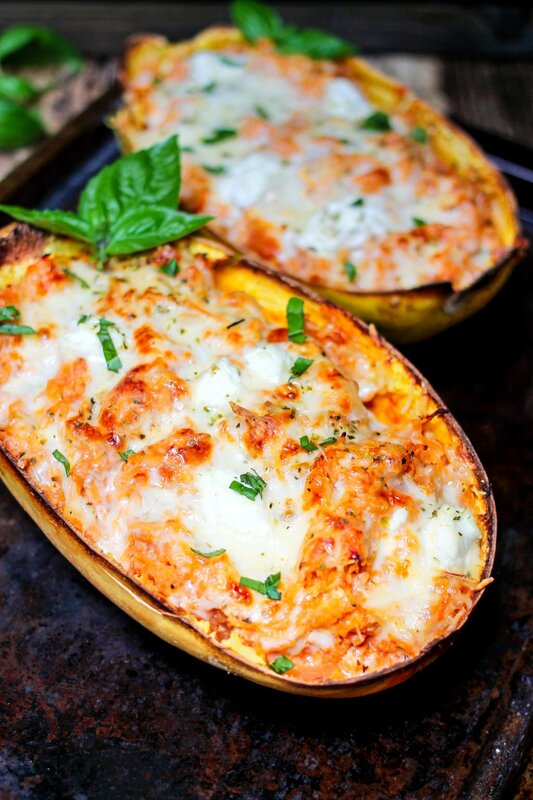 Loving this idea for stuffed spaghetti squash! So cheesy! What a good idea! I’m going to try to grab some spaghetti squash at the next farmer’s market. It is in season right now, so you should be able to find it! I love spaghetti squash! Have to make this! This is a must make at my house asap! Love it!